I miss when Batman was a detective. And so begins The Big Catch-Up. Day 1. I have ambivalent memories about this era of this series, because going back and reading them with my modern sensibilities they are very very over-written (which in itself is ironic given my day 3 pick, but enough digression). However, this one is included for the point of time when I originally read it - I can remember getting it from the comics stall in the town near to where I was at University, and starting to read it on the bus back to campus, becoming completely enthralled by the story, mostly oblivious to the abuse from the spotty local youths on the bus deriding me for reading comics at my advanced age! Ahhhh... brevity. I miss that too. On the first day of Christmas, my collection gave to me...Dreadstar from the Empirical Galaxy! I stumbled across this book five years ago or so right when I was branching off into all directions. It really represents the first impulse buy I made (up until that time, I stuck to Spider-Man, Iron Man, FF, Cap and Batman titles...stuff I was used to). I saw Starlin's name on the cover and for $4, had to have it. The artwork is fantastic and it really represents me getting into comics more for the artwork. I like to think of this as the start of my eye towards great art and the story overall was solid as well. I have not read any more Dreadstar but am keeping my eyes peeled when I do go out back issue hunting and its because of this book. Since I'm a late arrival, I'm forgoing the hemming and hawing to just the dozen that struck me in a super-speed brainstorming session. Like some other folks, I've included some issues that are meaningful to me because of their role in my collecting history. I think I probably start out in comics by browsing through some of my older brother's comics. I don't remember those. But I do remember the first two comics I picked out myself at the LCS - the first comics I could call my own. It was Transformers #5 and All-Star Squadron #47 (featuring Dr. Fate). I liked the Transformers cartoon and toys. 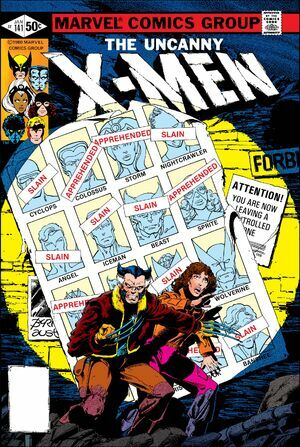 The comic book became the first series I collected regularly (followed shortly thereafter by Green Lantern), so it became my gateway to the world of comics. As a little kid, stories that were bleak and scary were memorable. The stories in the cartoon were almost always resolved within one episode. 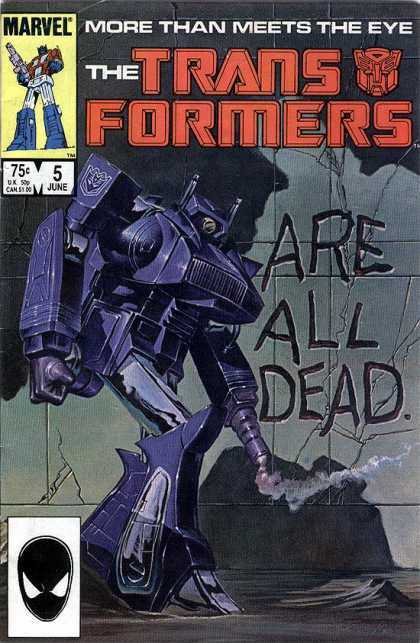 But in this comic book, I jumped into a story where the Autobots had already been defeated in the previous issue. Buster Witwicky finds Optimus Prime's head hooked up to a bunch of wires. Coming over from the universe of the cartoon, this was mindblowing. The odds seemed overwhelming, but I had to find out what would happen next. Glad you're getting these in! I recall you and I both picked this cover for the "favorite covers" Classic Christmas. Transformers #2-4 were among the earliest comics I owned and Transformers was the first series I sought to actively collect. It soon got overshadowed by my interest in Avengers, but I recall being excited to find this issue. Excited and confused, as #4 had clearly said "part 4 of a 4 issue miniseries". But then it ended with everybody dead and I really wanted to know what happened next. Transformers #3 was the first comic with Spider-Man I ever read, and something I considered for this list. Yes. Can't believe you remember that. I'll will have some repeats. I'm pretty sure some of mine were on my list for the first Classic Comics Christmas, but I don't know if any others were on my favorite covers list.